SnIPER is a command line front-end for the famous TSK suite written by Paolo Bertasi and Nicola Zago. 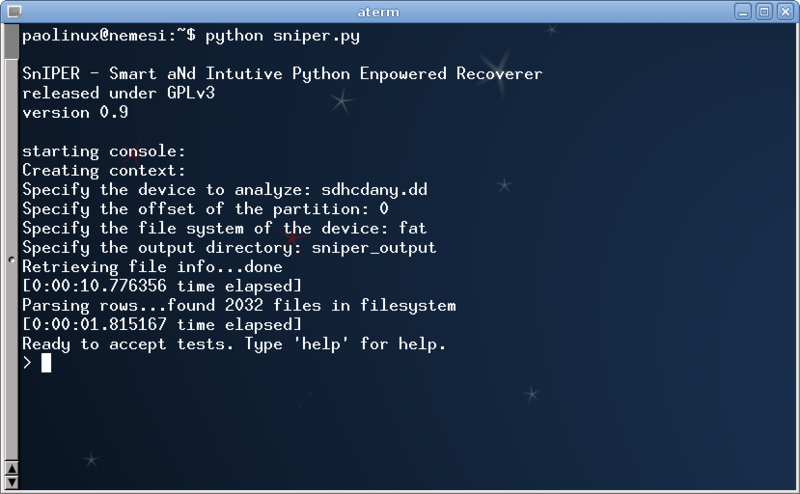 SnIPER can be used to analyze filesystems, performing accurate filtering and, eventually, recovering interesting files. You can use it in interactive mode or in batch mode, setting all the required options, i.e. a list of patterns to filter out uninteresting files. 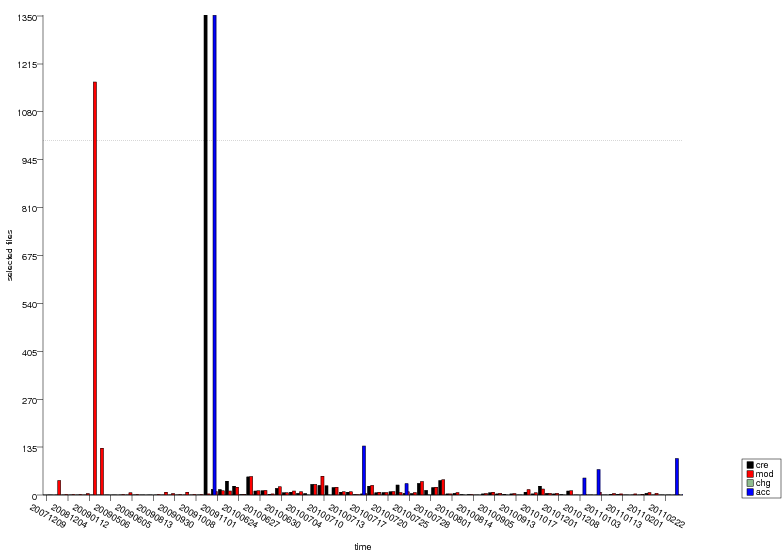 SnIPER can also draw a simple but intuitive timeline graph of currently selected files. If preserve mode is on, when you use the ‘save’ command the directory hierarchy is preserved. the file in the first part of its basename. the partition and the output directory for the files you’ll recover. a list and a description of all supported commands. to the output directory according to some desired charateristic. test e "txt" or e "html"
test e "txt" and C >= "2010-06"
sensitive and the arguments of the pattern have always to be strings. placed in the output directory, with the research pattern as name of directory. 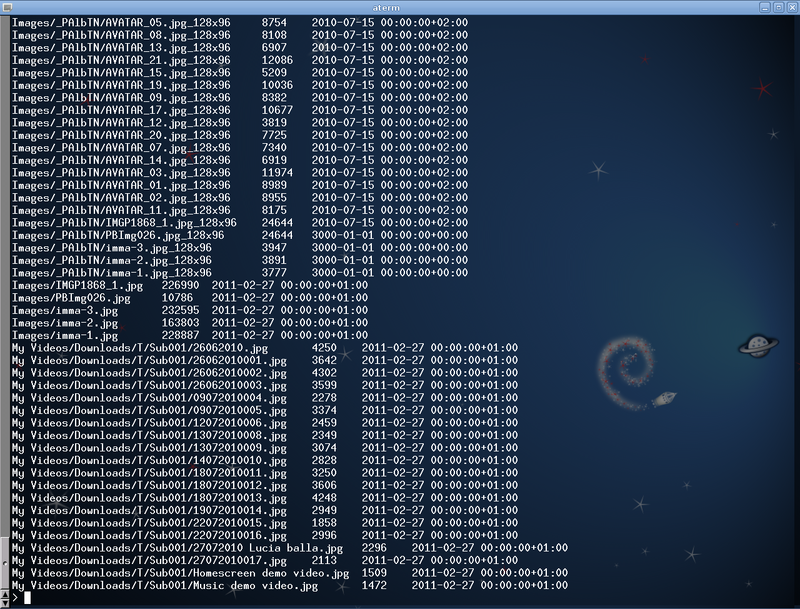 view is simply a list of the basename+extension of the files found. and the creation date. See `help setview‘ for more details. 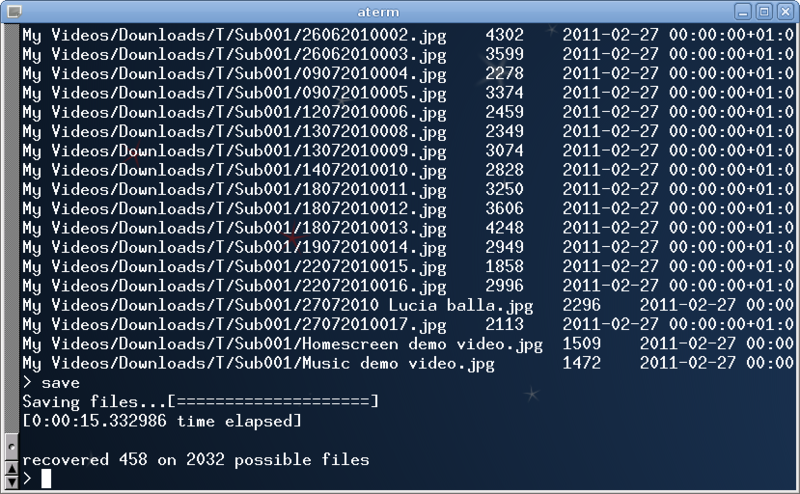 a file using `dumpfile destination_file‘. It would be interesting see how the performance changes by mapping the devices directly into virtual memory using mmap().